Technology Timeout: Don't forget the hook! I remember being in the classroom and being so overwhelmed by everything that HAD to be done (hello, special education paperwork! ), and struggled to do those little things that made a difference. When I was in college, our education teachers always stressed how important it was to make sure you have their attention. Nobody is going to remember anything if you don't have their attention. However, do you know how hard it is to get the attention of a tween/teenager? Especially a tween with autism or a learning disability? Very hard! So, how can you get the attention of your students with an otherwise boring math lesson? Grab them with a hook! Personally, the easiest and fastest way to hook my students was with BrainPop. My school had a subscription, and my students loved Tim and Moby and how they solved common math problems in a 3-5 minute video. I especially loved how they touched on important vocabulary words and included a quick quiz at the end (although I didn't always have time to do the quiz...). They include a wide variety of topics, and there was almost always a video related to the topic I was searching for. 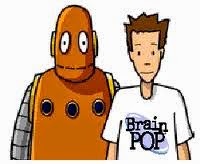 So, what can you do if you don't have a Brainpop Subscription? There are many other options such as Educreations or ShowMe. 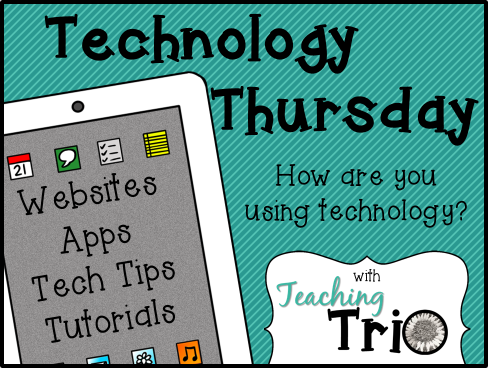 Both of these are screen-casting apps that allow teachers to create videos using their voices and a white-board. I enjoyed creating my own videos that explain how to solve a particular type of problem. But, when you are pressed for time, you are able to search and find videos that other people have created. I also loved having my students create videos explaining math processes. How great would it be if you were able to share the best video the next day with the entire class? Below is a video I created for graphing linear equations in slope-intercept form (pardon my southern accent;) I may live in Maryland, but my heart will always be in Kentucky). Another option would be to use Voki. I've talked about Voki before. It allows you to create avatars and either record your own voice, or type what you would like your Voki to say. The videos have to be short (around 400 typed characters or 30 seconds of recording time), and can be a great way to open class. Below is a Voki I quickly created for combining like terms. I particularly like Voki because of the short amount of time it requires. Also, once you create your Voki, it keeps it saved for you in your profile (so you can use them over and over again). What's even better is that you can embed Voki into your SmartNotebook files if you use the Smartboard. That way, they are there the next time you use that lesson. Hopefully you have some new ideas spinning in your head, or are at least inspired to use an attention grabber in your next lesson! I love BrainPop and Voki both. Kids love responding to BrainPop videos. I don't use it often enough!! Thanks for the reminder! I love BrainPop as well- so many great videos on there! But i'm even more impressed by your videos that you created- love it! Thanks! I got really comfortable using ShowMe last year - I loved the chance to create videos for my students (using my vocabulary and methods) to watch, even when I wasn't in the room! I've never used Voki, but it reminds me of Tellagami, which I absolutely love (and so do my students!). I'll have to try it out! Thanks for demonstrating it! Great ideas for hooking students on a new concept or skill. (P.S. I have a picture of myself with Mobi! Love BrainPop!